This room is available for private buffets, and team building . We do make a room hire charge, dependent on the size and type of event. The room also has a unique feature- it can be turned into a skittle alley. Teams have been coming to the White Hart since the early 1900's to play skittles and we pride ourselves on keeping the tradition going. The Function Room opens out onto a spacious patio area. Here guests can enjoy the delights of eating 'al fresco' in a beautiful setting. 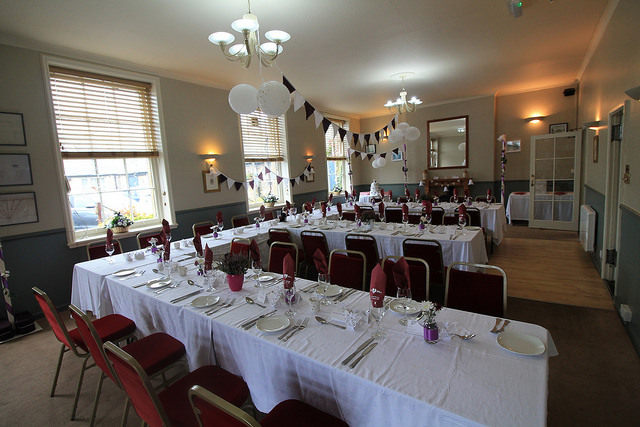 Whatever the event we at The White Hart will endeavour to make your occasion a memorable one. Our food is freshly prepared daily by our chefs who take great care to ensure that the quality of food served is of the highest standard.